“Isa pa, isa pang Chickenjoy!” This famous line came from Jollibee’s TV commercial spots with Aga Muhlach in the 90s and early 2000s. 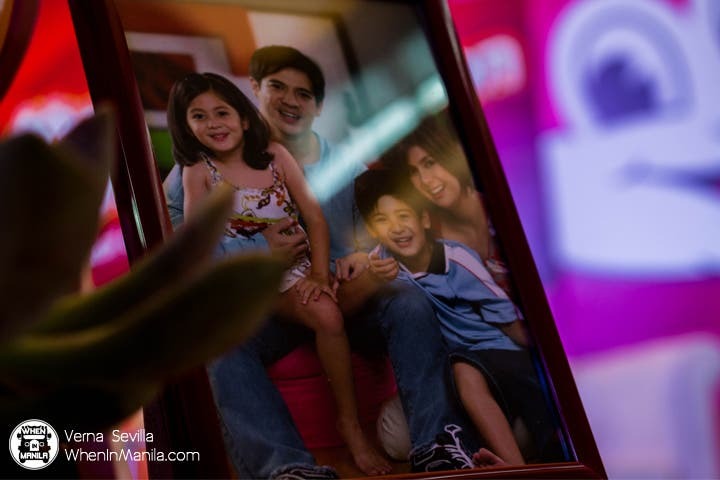 For those who watched TV in those years, you might associate Aga Muhlach with Jollibee’s TV commercials—complete with his signature dimples, charm, and idol looks. And in the latest Jollibee TV commercial, Aga reminisces key moments in his life, especially how Chickenjoy became a huge part of their family bonding moments. RELATED: Jollibee’s Strawberry Choco Sundae: Have You Tried it Yet? An old family picture of the Muhlachs. The twins look so cute! As they are back again in the TV commercial spotlight, the Muhlachs (Aga, Charlene, and twins Andres and Atasha) shared a heartwarming talk in a post-Valentine’s press conference titled “Mula Noon: Hanggang Ngayon” at The Green Lounge Events Centre, San Juan City. The Muhlach family gave some inspiring messages and also played games (Throwback Trivia and Who’s Who?) to lighten up the mood. Aga has been part of the Jollibee family for 25 years. He started in 1993. 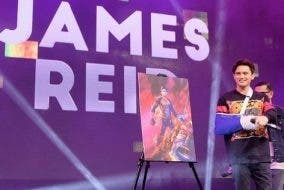 Because of Aga Muhlach’s first ad, billboard numbers increased nationwide in just a day! The entire Muhlach Family (Charlene and twins Atasha and Andres) joined Aga Muhlach in the Christmas 2006 Jollibee commercial. The twins were aged 4 years old during their debut. And as depicted in one of his commercials, according to Aga, the best way to enjoy Chickenjoy is to eat the meat first and the crispy skin last. And that there’s even another way to enjoy Chickenjoy: this time eating the burger steak with the chicken skin! The Muhlach twins, Andres and Atasha, now both in their teenage years, reminisced moments from their TV commercial stint. Actually, Andres said that one of his most memorable Jollibee commercials was the one during Christmas 2006. For Charlene Muhlach, family values are one of the reasons why it has been easy to be a part of the Jollibee Family. As a mom, she said, it is very sentimental to see her kids in the TV advertisements, old and new. That’s why sometimes she used to cry when she saw the twins in every Jollibee TV commercial she watched. This event is a moment to remember which gave us the #feels that is definitely #MulaNoonHanggangNgayon. Welcome back to the Jollibee family, the Muhlachs! ENTERTAINMENT: Model Chrissy Teigen makes fan’s dreams come true!